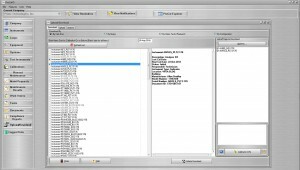 There are multiple software options available to support the unique asset management requirements for individual company or industry needs. Among the most prevalent options are the ones list below. To view more, download the Features eBook. 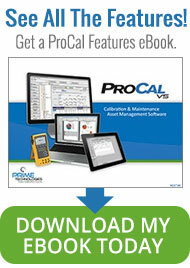 With ProCalv5, techs are able to upload/download to documenting calibrators in the field off-line. Shown below is the Field Calibrator Utility screen. Mobile Workstation allows the import and export of information between your production database and your off-line database. Calibration and maintenance results entered in the field are easily uploaded through batch transfers. 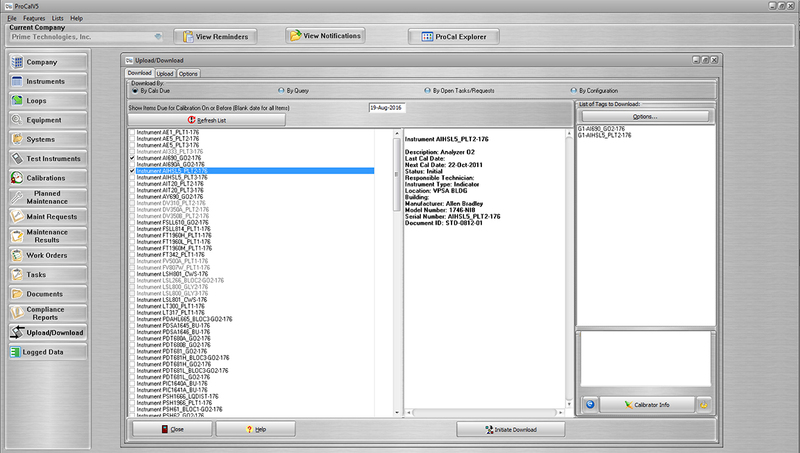 The import/export screen is shown below. 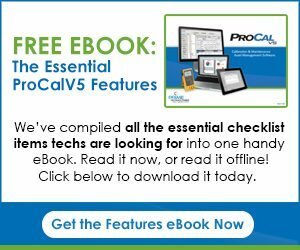 ProCalV5 allows you to create Planned Maintenance (PM) records that may be assigned to Work Orders or used independently of the Work Order system. 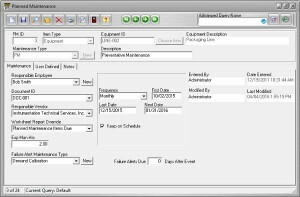 It also allows you to group work items like full calibrations, PM items and maintenance requests by assigning them to Work Orders. Work Order records may then be tracked throughout the system as their tasks are completed. 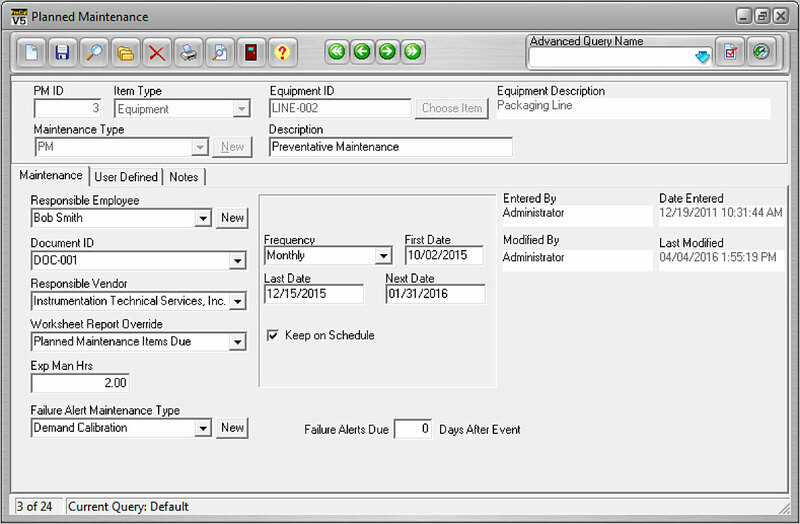 The Planned Maintenance screen shown below is used to add, modify, and/or delete PM records. The Training Management module shares the same database as your core ProCalV5 software. It allows users to log and track employees’ training, employee records, work qualifications as well as various courses and classes. 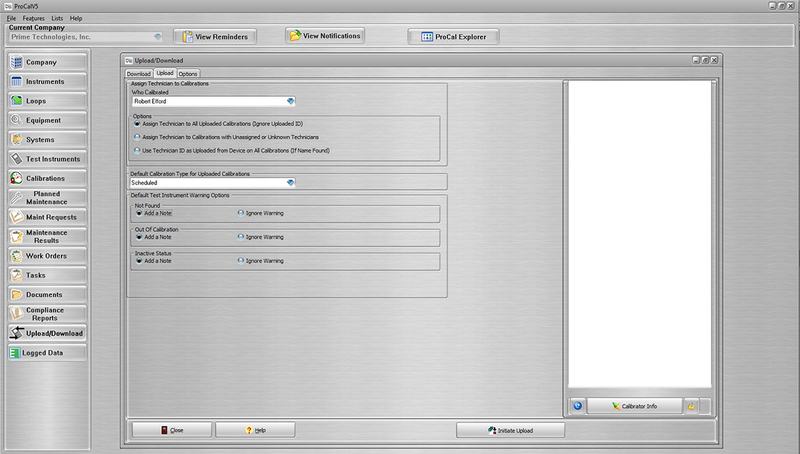 All user group and employee records already established in your production database are easily accessible for reporting. 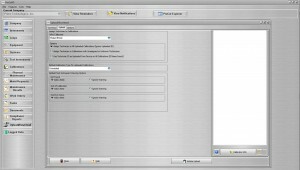 The ProCalV5 Reminder Email Utility, automates the process of getting reminder/notification content to ProCalV5 users. Every user whose employee record has been completed with an email address can be set up to receive a copy of the reminders screen as it would appear to them if they logged onto the main program. A reminders screen is shown below. Track usage and spare parts used for calibration. 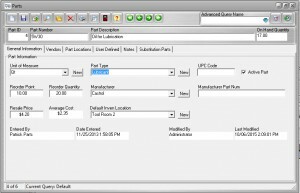 The Parts record is used to identify those replacement parts of an inventory system. The Inventory Control screen allows for the control of inventory by ensuring the company has the products it needs on hand. 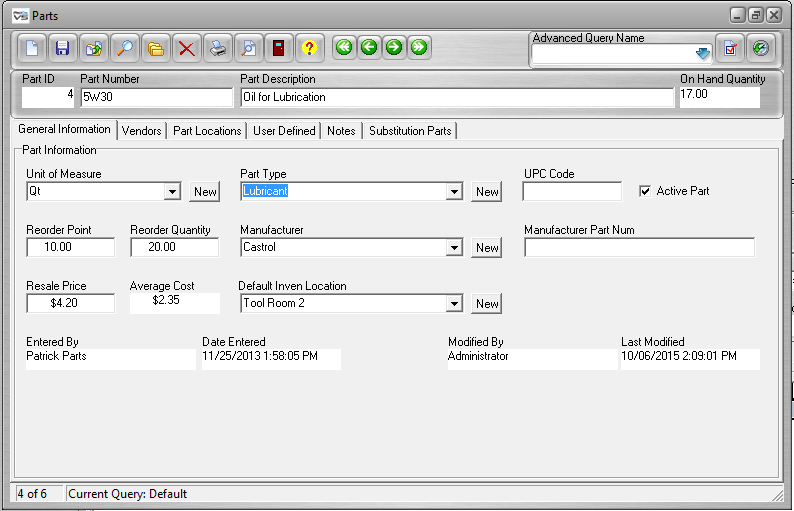 Parts and substitution parts can be tracked and compiled in a bill of materials to itemize cost for job budgets. It also can help centralize all data to the calibration certificate by logging the parts used to determine the total calibration cost over time. 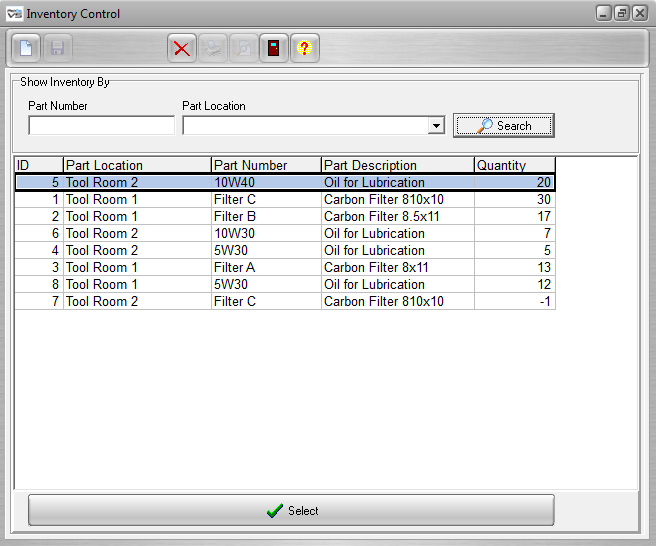 Shown below is a Parts screen and an Inventory Control screen. 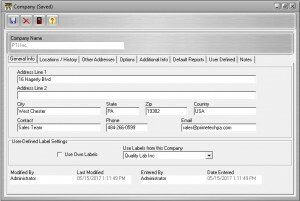 The ProCalV5 Shop Administrator (commonly referred to as the Admin Utility) is used to manage a multi-company ProCalV5 system. 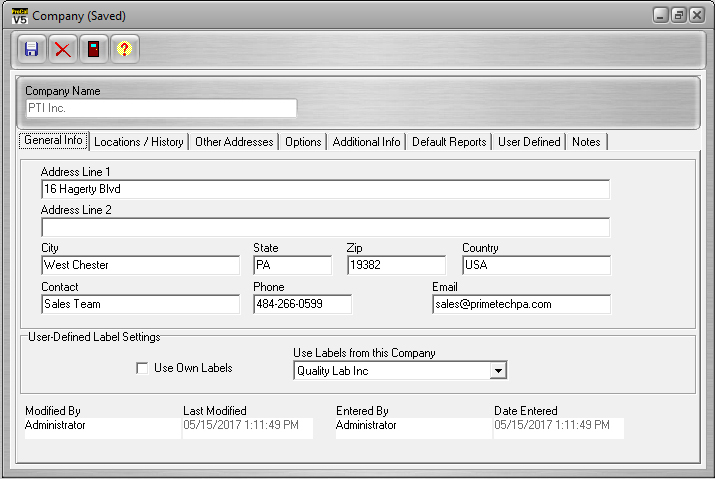 The Admin Utility allows the system owner to set one ProCalV5 Company as a “Template Company” and create other ProCalV5 Companies to serve as “Customer Companies” or sub-companies using the Template Company configuration as a model. Manage global master instrument records, asset templates and more. Shown below is the Add Company screen. 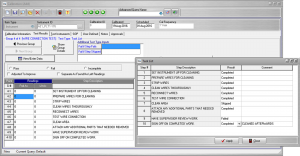 Task lists can be added to calibration procedures, through the master instrument record, to allow users to outline required steps before, during, or after taking test point readings. 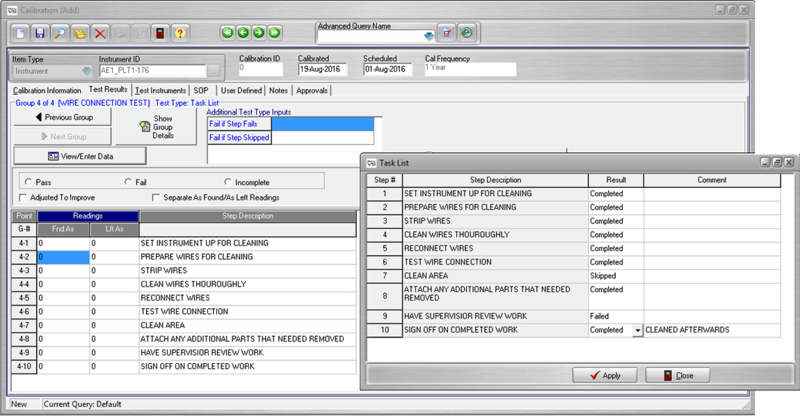 A calibration record screen with the task list screen is shown below. Ease of use for non-computer literate technicians. Excellent reporting and complete overview of all calibration activity. Great improvement to business workflow using ProCal work orders. Wide array of options to suit our needs and how we perform calibrations.